Gongura Nilava Pachadi in telugu also called Pulicha Keerai Thokku or thuvaiyal or thogayal in tamil . Gongura in English is termed as Sorrel Leaves, pitwa or ambadi Bhaji or khatta Bhaji in hindi and Pulicha keerai in Tamil. 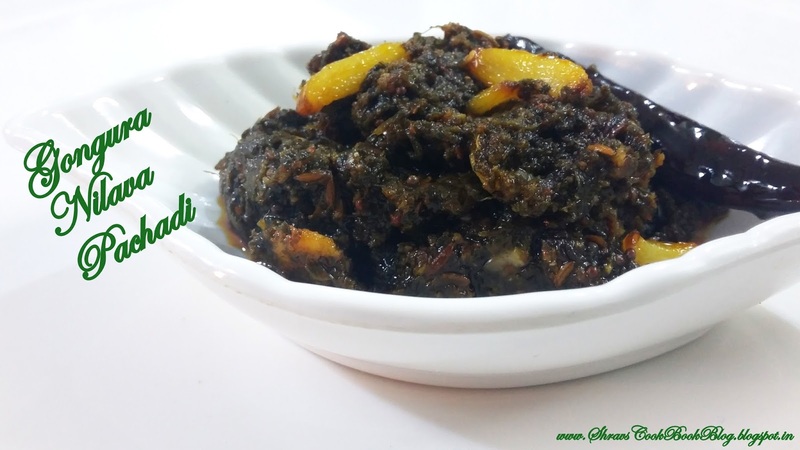 Gongura is popularly known as "Andhra Maatha" in Andhra Pradesh. 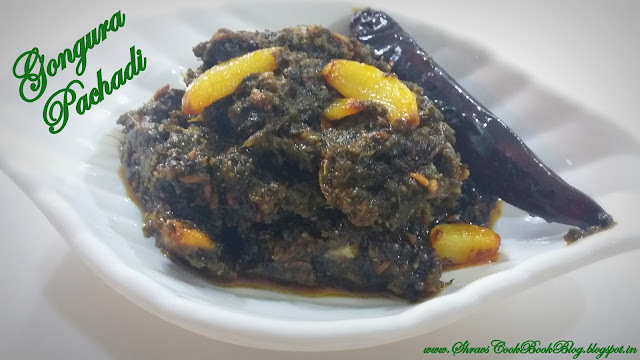 Andhra gongura pickle recipe is the most famous and other well known recipes are Gongura Mutton, Gongura Chicken and Gongura Prawns are popular recipes down South India. Gongura Pappu is also quite common recipe where gongura is paired with dals. Gongura Paneer, Gongura Rice and Gongura Pulihora are other popular recipes made using gongura. It is a summer crop and the hotter the place of cultivation the more sourer the leaf gets. The sourness of the leaves give a nice and tangy taste to any recipe in which these leaves are used. Sesame seeds powder or peanuts powder can be added to cut down the sour taste but it stays for 2 to 3 days only. Some people don't use tamarind in the preparation. Instead they use tomato pieces in the preparation. 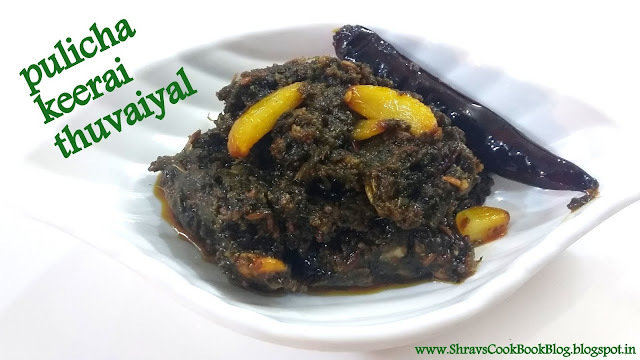 Gongura pickle is served by adding chopped onion pieces on it. Gongura pickle or Thokku is paired usually with Jowar Roti. Also this combination is one of the prasads offered to god Shiridi Sai Baba. Gongura pachadi make an awesome combination with steamed rice and ghee. Gongura leaves health benefits: It is rich in iron, vitamins, folic acid and essential anti-oxidants. 18. The pickle after preparation should be more spicy, salty and tangy. Over time the taste gets balanced.